Beautiful In-Law Cape located in the heart of Chiltonville is a rare find! Recently renovated, this large home offers many living possibilities. Featuring 4+ bedrooms, 4 baths, a large fireplaced living room with bamboo flooring. The stylish kitchen has quartz countertops, stainless steel appliances and a center island, perfect for entertaining! A gorgeous in-law above the garage with a private entrance, updated kitchen, large bedroom, updated flooring, laundry room and updated bath. A large finished lower level with private entrance, bath, kitchen and 2 multi purpose rooms! Lovely fenced in back yard with newly painted deck. Irrigation system in front yard. Expanded driveway can accommodate a large family. 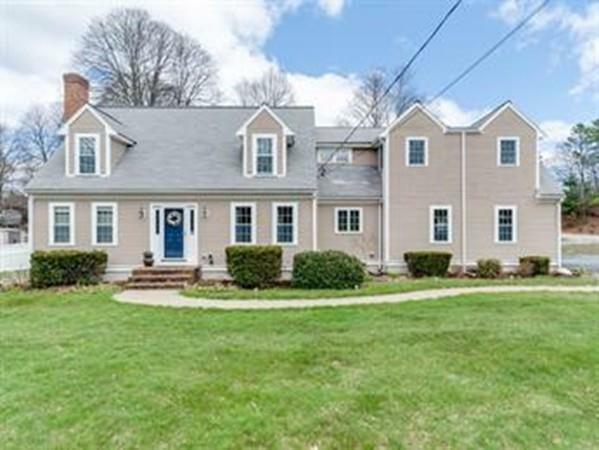 This wonderful home is conveniently located near Plymouth beach, the waterfront, dining, parks, hospital and easy access to the highway. In Law unit is currently a thriving AirBNB property. Selling Office: ERA Belsito & Associates, Inc.